My Blog’s Third Birthday Giveaway - Win an Afternoon Tea for Two! My Blog’s Third Birthday Giveaway – Win an Afternoon Tea for Two! My Blog’s Third Birthday Giveaway! I have an exciting prize to giveaway to a lucky follower to celebrate my blog turning 3 years old in April. I have teamed up with AfternoonTea.co.uk to giveaway an amazing Afternoon Tea voucher for two as a prize. They now have their very own branded Afternoon Tea gift vouchers at a variety of our venues. The perfect gift for the tea lover in your life! If you win, you can choose a voucher for a venue and value of your choice from the selection of venues across the UK listed on the site, for an Afternoon Two experience for two people. Full details of which venues are included in the prize can be found here. I’ve picked an Afternoon Tea Voucher to giveaway as a prize as it is one of my favourite pastimes and I love that excitement when the tiered stand arrives laiden with delicious sandwiches, heavenly scones and pretty pastries. I can’t decide whether I love my scones with cream first and then jam or vice versa! To me either way they are absoluetly scrumptious, and an Afternoon Tea is such a wonderful way to spend time indulging whilst catching up with friends, family or your other half. Find the picture below on my Instagram feed, like it and comment on it with who you would take to Afternoon Tea if you won a voucher for two and why between 04 May 2018 and 11 May 2018. Make sure you complete both steps above! 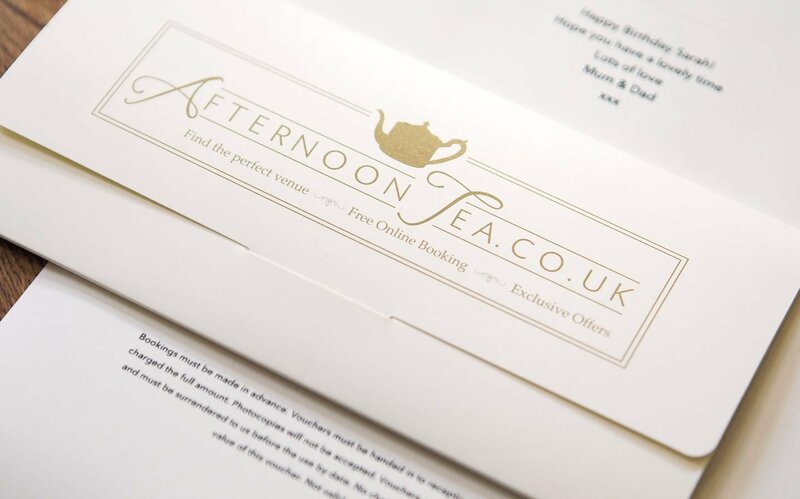 You can find out more about AfternoonTea.co.uk here and the gift vouchers included here. You must be over 18 years old and live in the UK. The Afternoon Tea Voucher cannot be exchanged for cash and must be redeemed prior to it’s expiry date. The winner will be picked at random and announced on my Instagram Stories as well as messaged directly on Instagram on the 12 May 2018. Happy blog birthday lovely Binny!! What a lovely prize, who doesn’t love afternoon tea!